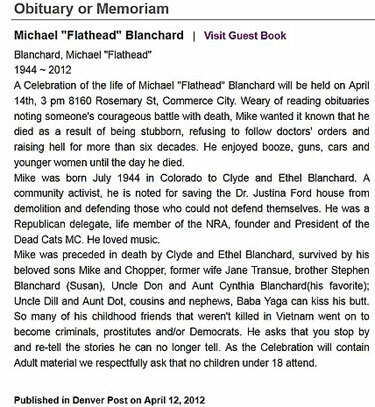 Mike Blanchard’s “In Memoriam” notice from the Denver Post has gone viral internationally. It was reported with appropriate admiration by Britain’s Daily Mail. According to lifelong friend Ron Remy, those were the first words he heard from Mike Blanchard when they met during high school. Collecting stories from Flathead’s life, however, initially presented a small problem. “I’m not sure of the statute of limitations,” one of his friends said. After assuring them we’d protect our sources, the stories flowed like whiskey. The stories Blanchard’s family and friends told certainly didn’t paint him as a boy scout. According to his friends, he was astonishingly intelligent and well read, with encyclopedic knowledge of Fords, guns, and explosives, but equally deep knowledge of European history and of prosaic topics like landscaping. On the other hand, he had real difficulties with authority, and didn’t give in to social pressures — like hygiene. 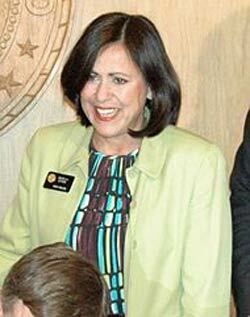 As his obituary noted, Blanchard was a life-long Republican and an NRA member. And according to another friend, he had what we might now charitably call “old-fashioned” attitudes about race. The world is undoubtedly a poorer, wimpier, and more boring place without this old boy. 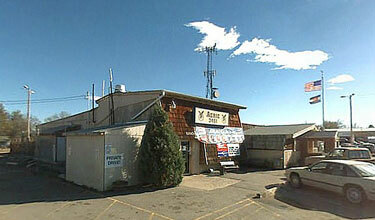 The Eagles Club at 8160 Rosemary Street in Commerce City, Colorado where Blanchard’s memorial service was held only for those over the age of 18. Honolulu Elections Clerk says he checked and there is no Obama birth certificate. Not exactly definitive proof. Parents might wish to discuss with their children how views on race, gender, sexuality, ethnicity and interpersonal relations have changed since this book was written before allowing them to read this classic work. Afghan President Karzai reported to doubt that America can win. Humans… They’re what’s for dinner. One of the participants on a bamboo fly rod list forwarded the link to this 2007 YouTube video of a mountain lion looking into the window of a Colorado home in very much the manner of a house cat sitting patiently outside a mouse hole. The lady doing most of the filming seems a bit overconfident in the ability of window glass to serve as an impenetrable barrier to wildlife. One can see the lion giving some serious consideration to having a try. Fortunately he decides in favor of prudence, or I expect we’d have never seen this video. Apparently, the lion had been seen hanging around the vicinity of these people’s house before the video was made. The sensible thing to do would have been to shoot this particular lion. It sounds amazing. In Golden, Colorado, the owner of a 1985 Maserati Biturbo actually traded in his exotic Italian grand touring sedan, with an odometer reading of only 18,480 miles, for $3500 from Barack Obama as down payment on a new Subaru. The Maserati is doomed. Its engine’s crankcase will be filled with sodium silicate in a government stimulus program resembling those of the Great Depression in which farmers were paid to shoot pigs or plow under wheat, then the whole car will be crushed into a cube of metal. In this case, maybe Obama should just save a few quarts of good sodium silicate. That Maserati already wouldn’t run. A man in Colorado was so frustrated with his car breaking down, he decided to capitalize on the “Cash For Clunkers” program. That’s nothing unusual — except his car was a rare Maserati. The 1985 Maserati BiTurbo has 18,480 miles on the odometer and its interior is nearly new. Yet the owner said he couldn’t drive the car more than 10 minutes without having to call his mechanic. The Maserati, like all “Cash for Clunker” trade-ins, will soon be crushed. The man said the engine frequently had problems and he’s been trying to the Maserati for months. By trading it in, the owner got $3,500 of government money, roughly the same as he was trying to sell the car for privately. “Biturbo” is, of course, Italian for “expensive junk.” At least, it is now, after Maserati tried to pass off this bitter heartbreak-on-wheels as a proper grand touring sedan. The Biturbo was the product of a desperate, under-funded company circling the drain of bankruptcy, and it shows. Everything that could leak, burn, snap or rupture did so with the regularity of the Anvil Chorus. The collected service advisories would look like the Gutenberg Bible. Your tax dollars at work. Nobody would buy this dog, but Barack Obama did, using your money to do it. Since I have black bear walking regularly through my yard at my home atop the Blue Ridge, stories like today’s do make me reflect upon our current complacency about sharing our neighborhoods with potentially lethal large predators. Mrs. Munson’s case was different from most of ours. She was living in a remote wilderness location. In California and the Eastern US, though, bears or mountain lions commonly reside in the midst of residential suburbs. We rely on our belief that a long tradition of hunting (now very much in desuetude as far as our large predator neighbors are concerned) suffices to assure their fear of man as the better-armed and more dangerous predator. Our reliance on that established status has worked well enough in the Eastern US so far, but, of course, the bear have only returned to most places very recently. The mountain lion, here in the East, is mostly just a rumor. An autopsy showed a 74-year-old Ouray County (Colorado) woman whose body was found being eaten by a bear (Black bear – Ursus americanus) was attacked and killed by that same bear after she attempted to help a smaller bear that had been hurt in a fight. The son-in-law of Donna Munson told 7NEWS that Munson was trying to help a smaller bear that had gotten into a fight with an older bear on Aug 7. The smaller bear suffered broken teeth in the brawl, Munson told her family. Munson told her brother by telephone that she was putting out hard-boiled eggs and milk for the younger bear to eat, said the victim’s son-in-law, Bruce Milne. According to the county coroner, Munson was grabbed by the bear and it slashed her head and neck with such penetrating force that Munson would have bled out in 90 seconds. Sheriff’s investigators said that the bear “clubbed” her through the wire fence that she had built around her porch, rendering her unconscious. It then grabbed her, pulled her underneath the fence to the back yard and then slashed her to death, the sheriff’s office said. Later that day, a witness found a large bear feeding on Munson’s body as it lay outside her home. Landscapers excavating for a koi pond in Boulder, Colo., found a cache of blood-spattered weapons and tools, but instead of calling the police, they summoned an archaeologist from the University of Colorado, six blocks from the site. Douglas B. Bamforth initially thought the stone implements might have been a few hundred years old, but further studies showed that they were left behind about 13,000 years ago, making them one of only two caches of tools from that period known to exist, the university announced Wednesday. The other cache was found in Washington state. An analysis by anthropologist Robert Yohe of Cal State Bakersfield showed that the blood came from horses, sheep, bears and a now-extinct camel — the first time a camel’s blood has been found on such a tool. Workers building the pond for Pharmion Corp. founder Patrick Mahaffy discovered 83 items packed into an area about the size of a shoe box. Among the flint implements were a salad-plate-size bifacial knife; a tool resembling a double-bitted ax; small blades; and flint scrapers. Bamforth initially suspected that the tools were ceremonial, but the blood indicates that they were used for more practical purposes. “It looks like someone gathered together some of their most spectacular tools and other scraps of potentially useful material and stuck them into a small hole in the ground by a stream, fully expecting to come back at a later date and retrieve them,” Bamforth said. While no one is exactly sure how it happened, officials near Eagle say there is a cow elk wandering around with a bar stool stuck on its head. The elk was first seen on a conservation easement property south of the Eagle Ice Rink. Resident Bill Johnson told the newspaper that he saw the elk with the metal bar stool stuck on her head from his house. The legs were pointed up and the elk’s head was pushed through the metal rig that holds the legs together, he said. Johnson said the stool didn’t seem to prevent the elk from grazing or moving around. “Apparently she is fully mobile,” Colorado Division of Wildlife officer Craig Wescoatt told the Daily. Wescoatt said he has been receiving reports about the animal for several days. Efforts to get near the animal have not been successful. When approached, the elk scampers away. The antics of Bailey the dog enjoying the snow at his home near Ward, Colorado have attracted over 3,000,000 hits. Is there any sight more ridiculous than some aging baby boomer peddling away in his spandex outfit and insectoid helmet on a bicycle? Bicycles are alright for small boys to use on paper routes or to get to the park to play baseball, but their use as a fitness tool by aging hippies is unseemly and undignified and only results in inconvenience to motorists and unnecessary accidents. Not even the bears in the Rocky Mountain West are safe these days. A 57-year-old man in Missoula, Mont., says he is lucky to be alive after accidentally crashing his bicycle into the side of a wild bear. Middle school teacher Jim Litz said while he is no stranger to seeing bears during his daily commute along an area dirt road, this week he didn’t’ have time to avoid one of the wild animals that had wandered into his way, The (Missoula, Mont.) Missoulian said Thursday. “I didn’t have time to respond. 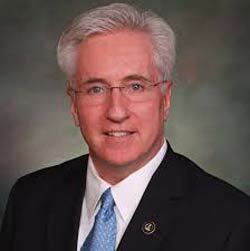 I never even hit my brakes,” Litz said of Monday’s accident. The teacher said after the impact flipped him off his bike, the bear began clawing at him apparently in confusion and anger. That attack left Litz with scratches and bruises along most of his body. While Litz admits to being sore and a bit clawed up following the unexpected crash, he says he is lucky to have survived the incident and holds no ill will toward the animal. That bear may be “a beautiful creature,” but a spindle-shanked, potbellied goofball in day-glo spandex certainly is not. A cyclist in Boulder County was injured after a run-in, literally, with a bear. Tim Egan, 53, was riding on Old Stage Road Tuesday afternoon when suddenly a bear appeared in front of him. Egan hit the bear and ended up skidding across the road. He cracked some ribs, suffered cuts on his head and had road rash. Egan said he and the bike flipped and flew over the bear, hitting the pavement hard. The bear ran away after the accident when a deer appeared. Egan’s nephew ran to help the injured cyclist. Egan estimated he was going about 45 miles per hour at impact. He said the bear was about 6 feet tall and probably weighed 500 pounds. When are these bears going to wise up? A fully-digested bicyclist is a safe bicyclist, I always say. Apple, a heifer resident of Hygiene, Colorado, discovered an intruder in her pasture. She touched noses investigatively, doubtless reaching the correct conclusion that the visitor was a black bear cub, and promptly proceeded to run him off. 29-year old Saleman Abdirahman Dirie, a Canadian citizen from Ottawa of Somali origin, was found deceased in his room at the Burnsley Hotel in downtown Denver, about four blocks from the State Capitol. The cause of death remains to be determined, but the pound (.45 kg.) of Sodium Cyanide found by authorities next to the body may provide an important clue. A suspicion person might conjecture that the late Mr. Dirie was visiting Denver in connection with some kind of plans related to the upcoming Democrat Party Convention, taking place August 25-28, and that the unlucky, or possibly maladroit Mr. Durie, while examining or otherwise manipulating the cyanide compound he had brought along for reasons of his own, met with an unhappy accident when he breathed in its vapors or somehow contacted the very dangerous chemical with his bare skin. Mr. Dirie’s death (now being described as a suicide) somehow reminds me of the 2005 “suicide” of Joel Henry Hinrichs III, an engineering student with a Pakistani roommate who mysteriously chose to kill himself with a bomb containing the highly unstable and explosive compound triacetone triperoxide, in the very near vicinity of a football stadium where a game was being played with more than 80,000 people in attendance. Fascinating, isn’t it, the way some people choose to commit suicide using very much the kinds and quantities of materials suitable for use in mass terrorism attacks in locations suspiciously close to suitable targets? the Archives of Never Yet Melted in the 'Colorado' Category.